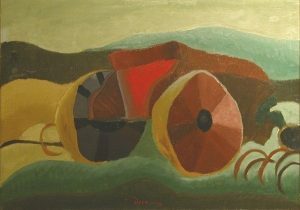 A Permanent Collection was started in 1965 when the Museum-to-be received its first gift of art, The Clay Wagon by Arthur Dove. By the time the Museum opened in January of 1966, six more pieces had been added to the Collection’s base. 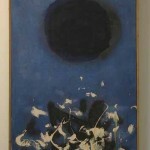 Since then it has gradually grown into a valuable public resource focused on telling the story of American art and life. Fine original paintings, prints, drawings, photographs, sculptures, ceramics, puppets, and other works by some of America’s best-known artists, representing different periods and styles, can be experienced at this regional museum. A major portion of the Collection is always on view, including some examples of work by artists from Iowa and the Midwest. The Bil Baird: World of Puppets became a major subdivision of the collection in 1981. 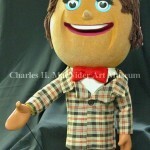 The MacNider Collection of Baird puppets is the largest holding of the late puppeteer’s work to be found anywhere. The Museum has put together some small virtual exhibits featuring images from our permanent collection for you to enjoy. Please visit the Virtual Exhibit page to view the current displays.